I have received a few requests to make the pictures a little bigger so I will make all future pictures bigger. To make a picture bigger simply click on it. Today not much got done. 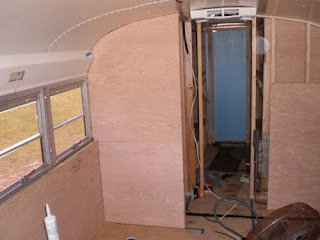 I was able to get the refrigerator wall paneled. I also got the back of the first dinette seat started. 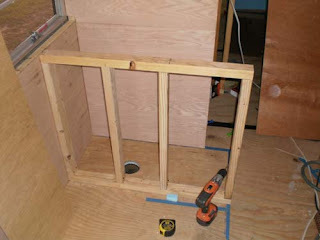 There will be a counter and cabinet that sits between the back seat and the refrigerator wall.